Who doesn’t love brunch? Once the meal you spent with your grandparents after church on Sundays, it’s now an excuse to get together with your foodie friends to drink mimosas. With so many great options, how will you ever choose where to spend your weekly brunch? You’re in luck – we’ll be your guide. Sit back, relax and sip a citrusy cocktail while we regale you with all the details of the Best Durham Brunch Spots. French cuisine is generally regarded as the best in the world, but with Rue Cler down the street, there’s no need to fly to Paris. Their menu features classic French entrees like crepes, onion soup and the Croque Madame sandwich. Stuffed with ham and gruyere cheese, the sunny side-up eggs on top make this a must-order. Treat yourself to a pile of warm beignets for a sweet end to the meal. On a balmy Carolina morning, there’s nothing quite like eating al fresco. Park & Otis features one of Durham’s best patios. Even in the heat of summer, the shady patio area is cool enough to be a viable brunch spot. Of course, the restaurant’s menu can’t be overlooked, either. With delicious options like the pimento grilled cheese and the peanut butter, bacon and banana panini, you’ll have difficulty choosing what to order! When you’re hungry enough to eat both breakfast and lunch in one sitting, look no further than Dame’s. The menu is as straightforward as their name – you’ve got to order the chicken and waffles, obviously! What makes Dame’s stand out is their attention to every delicious detail. The waffles and chicken are incredible, but the flavored butter shmears (hello, orange-honeycomb!) and versatile side dishes make this place truly unforgettable. No time for a boozy sit down meal? Snag a biscuit or two at Rise, one of Durham’s most beloved breakfast joints. Their buttery, flaky biscuits make the perfect canvas for creative toppings like fried green tomatoes and macaroni and cheese. Vegans will rejoice when they bite into the animal-free sausage biscuit – it’s topped with delicious tomato-pepper jam. Of course, their donut menu can’t be ignored. With rotating speciality pastries like the Apricot Bulls Eye and the more classic Cinnamon Twist, everyone will find something to enjoy at Rise. Whether you’re looking for award-winning performing arts, unique visual arts, stimulating nightlife, one-of-a-kind shopping, or scenic natural experiences, Durham has you covered. 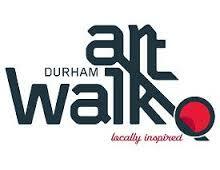 Click here to learn more about what there is to do in Durham! A perk of living in downtown Durham is that you’re close to everything in the Triangle! With our area’s thriving arts scene, this is especially relevant for music lovers. If you’re looking a fun night out, see a favorite band – or expand your horizons – at one of the Triangle’s best music venues. Only minutes from the heart of downtown, Motorco is Durham’s premiere live music destination. Built in an old garage, it’s a unique and unforgettable venue. Its location directly across from Fullsteam Brewery also helps, as does the constant food truck population. Speaking of food, Motorco actually has a menu, meaning you can consolidate your evening out into a single destination. The street food inspired selections – banh mi, falafel – make it a pretty appealing destination even when nobody’s playing. And speaking of bands, Motorco emphasizes smaller, more obscure acts. If you pop into Motroco, you’re basically guaranteed to discover new music. That doesn’t mean major acts don’t stop by, though; hip-hop legend Talib Kweli is playing in Feburary. Cat’s Cradle is up there with Asheville’s The Orange Peel and Charlotte’s Amos Southend as one of the oldest, most legendary music venues in North Carolina. Nestled in the heart of Carrboro, Cat’s Cradle has watched a city grow up around its humble strip mall location. The Cradle is distinguished by its grimy, divey aesthetic. The stage and floor are entirely utilitarian, with no decorations or needless frills. The bar is still cash only, and the bathrooms are plastered with stickers for local and obscure acts. The venue’s simplicity combines with world-class acoustics to make its purpose known: hosting really, really good music. A max capacity of 750 means you’ll hear it all up close and personal. In its long history, Cat’s Cradle has hosted everyone from Nirvana to Run the Jewels to Iggy Pop. It focuses mostly on indie or local acts. Upcoming shows include NC folk-rockers The Mountain Goats, critical darlings Animal Collective, and Durham’s own Bombadil. You’d never expect to find a shiny music venue in an industrial park, but Raleigh’s The Ritz proves you can never trust your expectations. That unique warehouse setting gives you a 2,000-person, indoor venue with a huge floor and great acoustics. The Ritz has recently been renovated twice, with the extensive remodels costing in the millions. The renovations paid off, particularly in the VIP area. If you upgrade your ticket, you get prime balcony seating with excellent sight lines, and a VIP-only bar area with local beers on tap. The venue attracts a number of “mid-stream” acts, those popular with critics but not so obscure that they’re hipster material. Diverse genres are also represented. Upcoming shows include alt-R&B Drake collaborator PARTYNEXTDOOR, party rapper-turned-artist Mac Miller, and showy rock stalwarts The Flaming Lips. Wanna live where it all happens? The Brannan is Durham’s premier up-and-coming downtown living destination. Check us out and learn more. Who doesn’t love a good brewery? A laid back atmosphere, rotating food trucks, a pleasant buzz and easy conversation. It’s a perfect Friday (or Thursday, or Wednesday) evening out. North Carolina has built quite the reputation for beer, as the biggest craft brewery destination in the South. Over 180 breweries call our state home, and several of them are right in downtown Durham! If you’re there, too, you have a lot of options for quality local brews. Live in the city, but miss the freedom and space of the suburbs? Ponysaurus might be able to solve your problem. This brewery has a defining feature: grill spaces. You order food ahead of time – housemade sausages, local beef, and family-style sides – and then grill it yourself at one of Ponysaurus’ grill stations. It’s like having a backyard again! Their beer selection is huge and diverse, so if weather forces you indoors you won’t miss out. Fullsteam is one of the Triangle’s best-known breweries, with their beer available around the state and loved by thousands. Their year-round mainstays like the Carver (a Sweet Potato Lager) and Rocket Science (a rock-solid IPA) are frequent finds in restaurants and craft beer shops. The brewery’s most original offerings are its seasonal forager beers, made from ingredients growing in the wild. Those are much harder to find outside of the brewery’s industrial-style, open-air taproom. Several years ago, craft breweries were judged by their IPAs. Times have changed, and while Durty Bull has an IPA that’s worth a try, its sours and aged beers are what make it stand out. In addition to their standard blonde sour, company owners brew rotating experimental batches. Their latest round includes a Rhubarb Berliner Weisse, perfect for Fall. The brewery also puts out regular barrel-aged beers. Anyone who goes to a Bulls game will be familiar with these guys, the first American brewery to operate in a minor league baseball stadium. Their Euro-style beer selection is similar to Greensboro’s Red Oak, with a kolsch and weisse on tap. Though they’re exclusive to the Bulls for now, construction is nearly finished on a beer garden and restaurant on the American Tobacco campus. Relocating to Durham? Love beer and want to be in the heart of the action? The Brannan will put you there! Explore galleries, shops, studios, restaurants, and music in Downtown Durham every third Friday from 6:00-9:00 pm. To learn more, visit thirdfridaydurham.com. 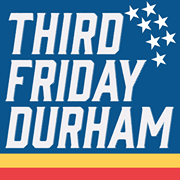 Also, like Third Friday Durham on Facebook for regular updates. The Brannan’s exceptional location is within easy walking distance to Downtown Durham. Contact us at 919-973-1516 to learn more! Residents of The Brannan can now use a convenient grocery delivery service provided by Instacart. Shop online at Whole Foods, Costco, Petco, Total Wine, and Harris Teeter — you can even order items from multiple grocery stores in the same order. To learn more, call 1-888-246-7822. View “Durham, Where Great Things Happen” by the Durham Convention and Visitors Bureau to learn more about what makes the area special! Enjoy what Durham has to offer from the convenience of The Brannan, located within walking distance to many of Downtown Durham’s popular destinations. Contact us at 919-973-1516 or visit us at 400 Hunt Street, Durham 27701. Another reason Downtown Durham is an exciting place to be! Click here to learn more about the 10-story office tower planned for the former Elkins Chrysler dealership property. The tower, dubbed 555 Mangum, will include retail space on the ground floor, a penthouse conference room, a rooftop lounge and terrace overlooking the American Tobacco Campus, and the Durham Bulls Athletic Park. The Brannan’s exceptional Downtown Durham location is within easy walking distance of this new development!